Click Register at the upper right corner of the website at https://www.sribu.com/. Click the left icon "I am a client, looking to buy a design". Fill in your name, email address, password, and contact number. Click "Register as a Client". You will be directed at the category page and may begin holding your first design contest. *There is no email verification process as all information has been stored in our system. 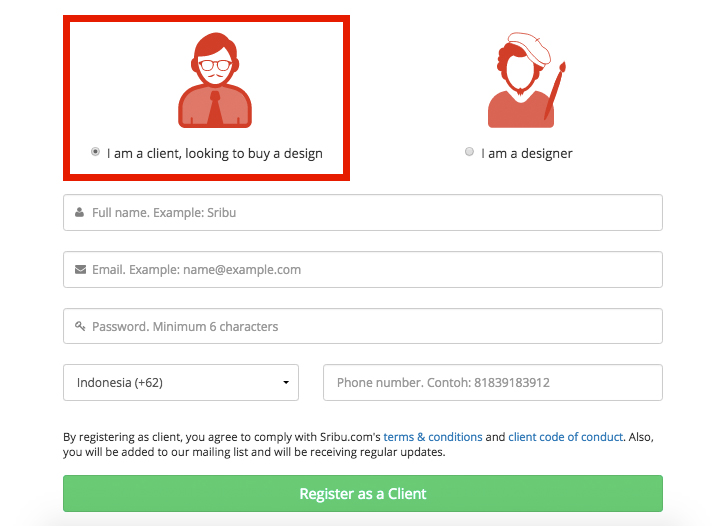 If you have registered as a Sribu client, click "Log In" at Sribu homepage.